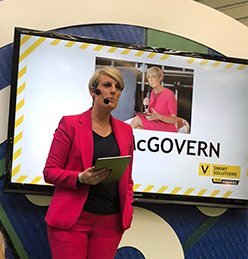 Hosted by BBC Breakfast’s business presenter, Steph McGovern, the UK’s best smart electrical products were announced on Wednesday 12 October 2018 with EDA affiliates winning four out of the eight categories. 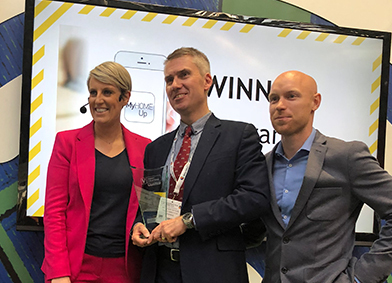 The Voltimum Smart Solutions Awards were held at UK Construction Week at the NEC. Above: Legrand’s Richard Hayward with his Outstanding Contribution Award, flanked by BBC Breakfast’s Steph McGovern and ECA’s Jamie Cant. EDA CEO Margaret Fitzsimons presented the Award for Best Manufacturers, which went to Hamilton Litestat. Watch the video. The annual awards ceremony, organised by Voltimum, is sponsored by EDA Affiliates ABB, Legrand, and Schneider Electric. UK Construction Week is the UK’s biggest and busiest event for the construction trade. 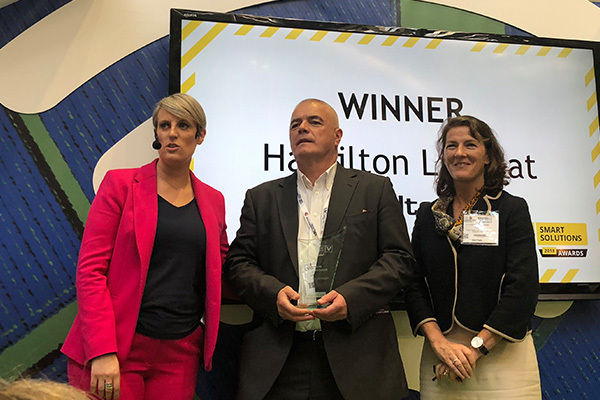 Held on 10 October 2018 at The Digital Construction Hub, UK Construction Week 2018, at Birmingham’s NEC, the annual Smart Solutions Awards champion integrators and installers who have demonstrated excellence in projects over the past 18 months. They also recognise the vital role manufacturing businesses, people and innovations that are driving the smart solutions sector forward. “I’m amazed at how the standard of excellence continues to rise,” says Rodney Jack, editor of Voltimum.